In relation to kitchen and cuisine, I can definitely say, that my life has two distinctive stages: one – before France and the other – France, which started just over eight years ago (December 2003) and is happening now. I cannot really remember my first experience in the kitchen; I was too small then and, I bet you, that I had different interests in my busy buzzy life, like becoming a ballerina or a world-famous pianist, singer or actress. None of this had anything to do with the kitchen, as you can see. And none of it had anything to do with France, as I grew up in Russia. My parents always encouraged my interest in music; they bought me my first piano, when I was just 3 years old. And I loved it! I spent about 15 years learning how to play and then how to teach the piano. Eventually I became a qualified piano teacher, but I got bored teaching one-to-one after just one year working in a music school. So, I decided to try my hand as a fully fledged music teacher in a state school. It was very hard but very rewarding and exciting. It was great! I will always treasure memories of my teaching years as some of the best working experiences of my life. My life had a huge turn, when I met my husband Peter and moved to UK with my kids. We had to start our life from scratch: new country, new language, new traditions… Yet again, I did not really have any particular interest in cuisine, food or kitchen and I looked at it as a necessity in life: you need to eat, therefore, you must cook. I was too busy working or sorting out my family, life troubles and the like. Of course I could cook and I’d like to believe that it was not bad at all, especially since in couple of occasions I was asked to cater for small office parties. Apart from friends and family saying that I was a great cook, or the food that I cooked for them was great, I would have never thought of myself as a cook. Nine years in UK went like nine days: children have grown up and flew the nest, Peter lost his job, then he had a heart attack and was unsuccessfully seeking another job after being signed off work by the doctors for several months. Eventually he became a househusband – a great one at that! Meanwhile I was working in London, commuting two hours every day , I had no time to cook every night, so my access to the kitchen was limited to Saturdays and Sundays; during the weekdays Peter was in charge of the kitchen. But there are only so many things that a man can do in a small house, especially if he never stayed at home for more than two months due to his work arrangements. We needed a change. 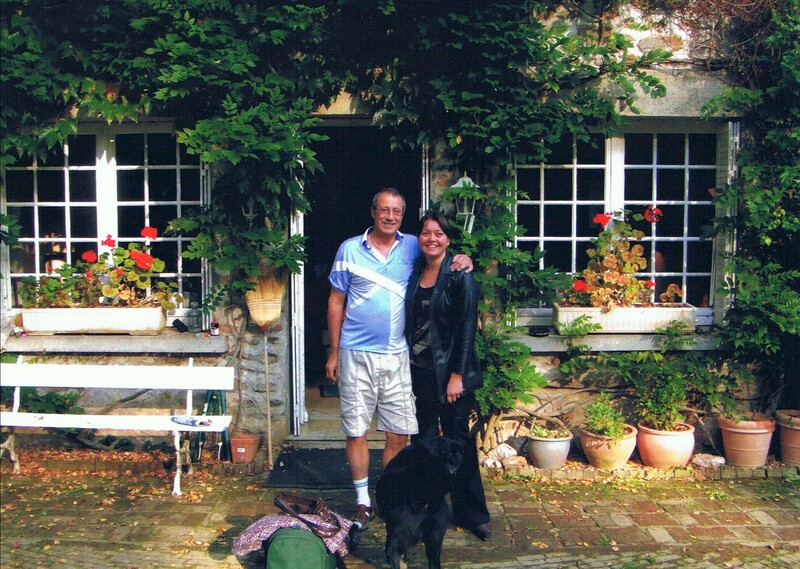 We decided to look for a holiday home in France, which we would be able to rent out when we were not there. Our first visit to France was exciting, uplifting and successful! Looking originally in the Dordogne area, we ended up buying not a holiday home but our next home and a Bed & Breakfast business, where we still live and work now. Of course I could tell you a lot about our house hunting and settling into our French adventure, but this would be a different story. The fact is that our move to France allowed me to re-discover myself and my passion for cooking. So here I am, Galina Fenton (Galya for anyone, who can pronounce it right), Russian, married to an Englishman and both living and working in France. It is this weird and wonderful medley of experiences, cultures and habits that I have brought to my cooking. I am no expert, but, through this blog, I hope to share all that I have learnt about food and cooking with you. I deeply hope that you will join me in a culinary adventure that spans cultures and continents. But i’m still having problems finding out any more information about the dish. So any more help about the dish, recipes, how to cook, where its from, or pointing me in the right direction to find more info would be great. I hope you and Peter are enjoying the summer. Talk to you soon. What is ‘Breast a la Kazan? I have never heard of it, and don’t even know what meat, the ‘breast’ is referring to. If you have any info at all regarding this dish, I’d be very grateful. Do you have russian spelling of it? The breast usually refers to breast of chicken, lamb or belly pork. In any case it will be yummy! Good luck! The blog is very cool, and a great idea. I look forward to reading more and to being inspired to cook more creatively. It’s Easter Monday here in Kyiv and Maryna and I are eating kulich….and now i’m imagining how yummy your home-made versions would be!! Take care Gayla. Say hi to peter for us, and hopefullly we’ll see you both soon. Sending you a massive hug and all our love from Ukraine. Thank you very much for your comment. I have a few ideas for the blog and hopefully I will find enough time to keep it going. But the new Posts from the guests are very welcome, especially if it is about particular food, cuisine or restaurant, or pub. We all had and have many experiences but not very often we are sharing them with the others. Why not? For example: not many people know about pryaniki and kulich apart from russians and ukranians. Hey, everyone is welcome to taste it here in “Galyaskitchen”, as it is part of our bed and breakfast business. Huge hugs to both of you from me, Peter and Max. PS Novel? Hmmm…. sounds a bit ambitious. I could not even dream about writing a novel! Short stories – maybe! But here is “galyaskitchen” for that, the short stories of my life with illustrations!